Shimon Peres – Nobel Peace Prize laureate and public servant extraordinaire – held just about every possible government position in Israel. Since his first appointment as Director-General of the Ministry of Defense in 1959 at the age of 29, Peres held a number of key posts, including Minister of Defense, Finance and Foreign Affairs, and Prime Minister (twice) and ending with the presidency at the age of 91. He also served in the Knesset, Israel’s parliament, for almost 50 years. 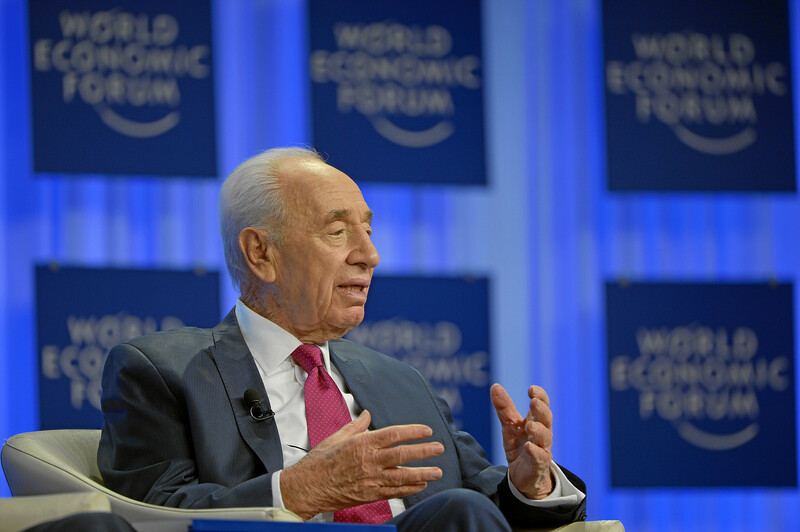 As a leading statesman, Peres was a regular guest at the World Economic Forum Annual Meeting in Davos, taking every opportunity to promote peace and find a solution to the Arab-Israeli conflict. In 1994, then Foreign Minister Shimon Peres and PLO chairman Yasser Arafat met – the year they, together with Yitzhak Rabin, received the Nobel Peace Prize – and forged a draft agreement on Gaza and Jericho to advance the peace process. 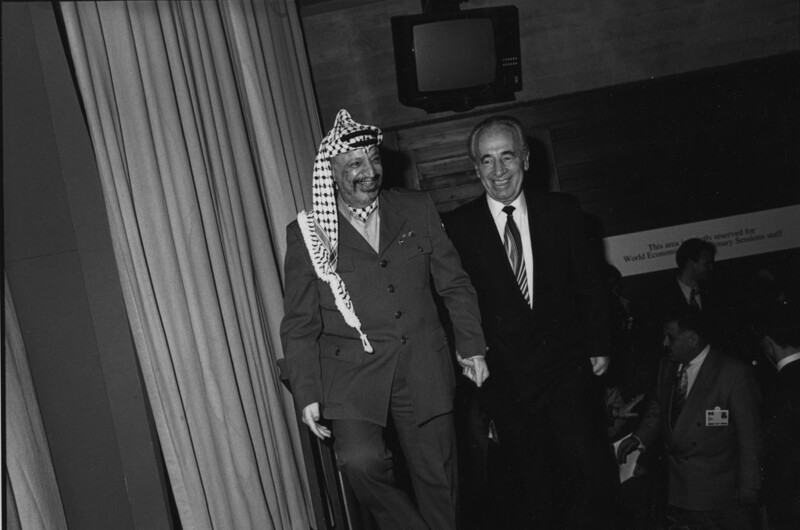 It was also the year that Peres and Arafat spontaneously joined hands and walked into the Congress Hall to thunderous applause. In 2014, World Economic Forum Founder and Chairman Klaus Schwab honoured Shimon Peres with the first Spirit of Davos award for his long-standing commitment to the organization’s mission of improving the state of the world and his contributions to the Annual Meeting for more than two decades. No one represented the spirit of initiative and vision better than Shimon Peres, who was lauded by Professor Schwab for his “vision, soul, values, heart and his compassion”. "You are the oldest participant on paper, but in your mind one of the youngest participants,” said Schwab. 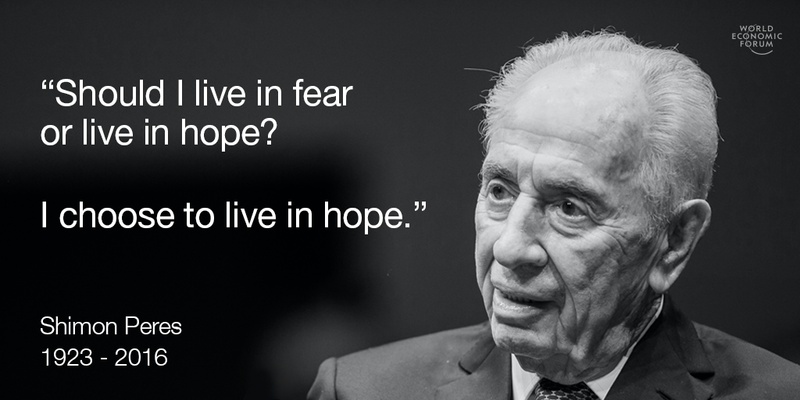 Always the optimist, Peres – at the World Economic Forum Annual Meeting 2013 – described the three themes he believes will define the next generation. First, national governments, because they cannot run economies or companies, will be relegated to simple husbandry of the state. Second, there will be continuing empowerment of global corporations that will handle global investment and innovation. Third, deeper understanding of the human mind will help people to make better decisions.